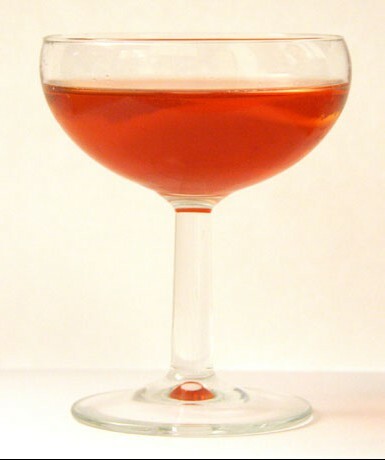 The Boulevardier, which hails from Paris (where else? 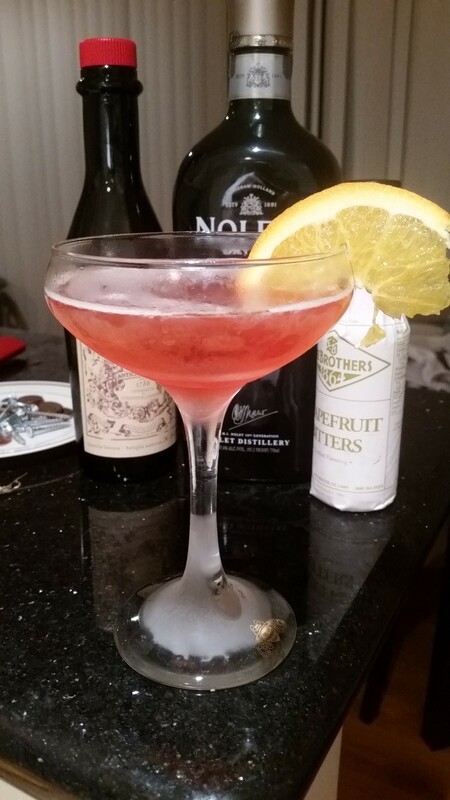 ), has been featured here before, but it is less well known than its very close Italian relative, the Negroni. You won’t find it in as many of the classic cocktail books — it doesn’t appear in Dale DeGroff’s “The Craft of the Cocktail,” nor Robert Hess’s “The Essential Bartender’s Guide,” nor even Harry Craddock’s epochal 1930 tome, “The Savoy Cocktail Book,” but it certainly has its fans. Indeed a frequent drinking companion has long been championing the Boulevardier over the Negroni, I myself was inclined to give it a slightly lesser standing. 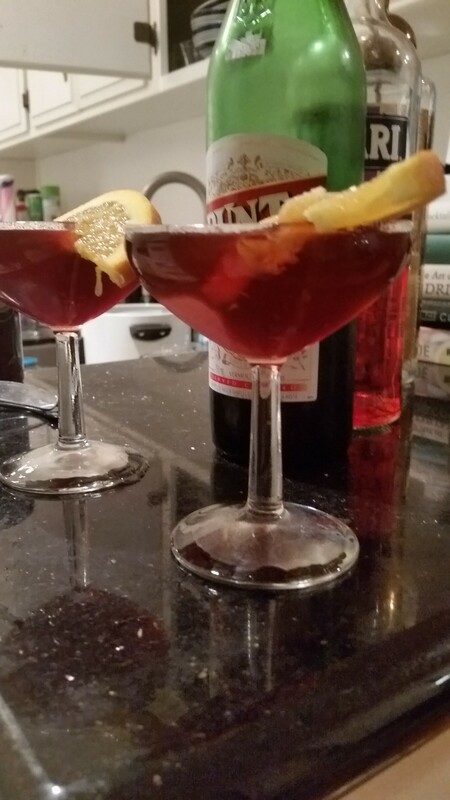 That changed, however, with my current interest, as described in last week’s Negroni post, in substituting standard sweet vermouth with it’s Amaro-esque cousin, Punt e Mes in classic cocktails. What I found was that switching out the very bittersweet, borderline chocolatey flavor of Punt e Mes with the more straight up, sweet-winey flavor of regular red vermouth, produces a drink that — at least some of the time — can be almost celestial in its deliciousness and which, at worst, remains a reliably pleasing concoction. Let’s give it a whirl. Combine the liquid ingredients in a cocktail shaker or, if you’re so inclined, a mixing glass. Add plenty of ice, shake or, if you’re so inclined, stir. Strain into a chilled cocktail glass and add your garnish. As with the Negroni, you can strain this in a rocks glass with fresh ice, if you really want to, but I’m not particularly recommending it. Most versions of the Boulevardier call for bourbon, but I’d steer clear of the sweeter expressions — my least favorite version of this included Maker’s Mark, which I’m ordinarily pretty fond of. Instead, using Bulleit Rye yielded a full-bodied blend of very sweet, very bitter, and just plain very good flavors. On the other hand, using a slightly less sweet bourbon like Michtner’s yielded a very nice result, so I’m not issuing any clear dogmas on the bourbon vs. rye question here. You can always split the difference and try this with a Canadian whiskey. Both Alberta Dark Rye and good ol’ Canadian Club were just dandy. There are, of course, other variations. You can definitely play with your proportions if you like. The original Boulevardier called for equal proportions of all three ingredients and a lot of more recent versions are more whiskey-heavy. Try them all, I say. This drink can definitely withstand some experimentation. Indeed, if there’s one thing I’ve learned in the cocktailing trenches, it’s that there’s no perfect drink, and something that might send your tastebuds into the ecstatic stratosphere one night, might merit a far less enthusiastic response the next — even when you’re using the same ingredients and following the same procedure. Still, combining Punt e Mes, Campari, and whiskey seems about as repeatable a formula for boozey success as you’re likely to find. One of the trickiest aspects of being a home cocktailer is simply having all the right ingredients on hand for the particular drink you want to be making at any given time. It gets slightly trickier with drinks that call for vermouths, since, even when refrigerated after opening, they have a pretty limited shelf-life. Most experts advise us to use a bottle within a month or two at the latest. Sweet, dry, or blanco, they all get progressively less tasty over time. 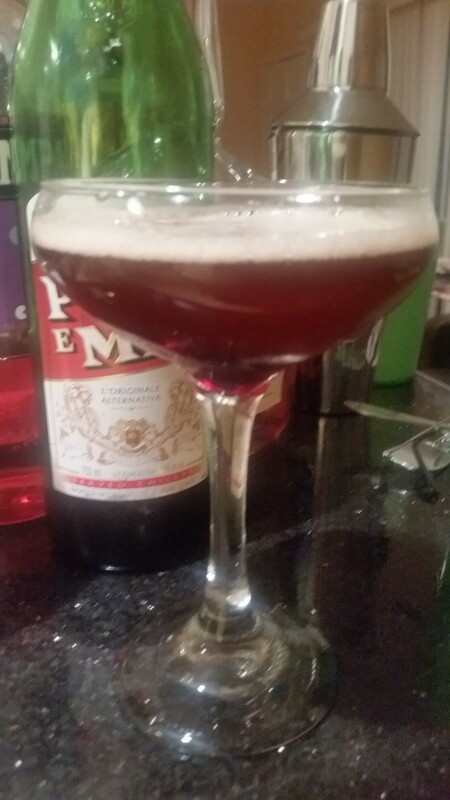 So, when I found myself impulsively opening a bottle of Punt e Mes, a bittersweet Italian vermouth and a longtime personal favorite, I realized I’d have to do something with it soon. Mind you, while I get some things for free — including scoring myself a bottle of Punt e Mes some years back — this was a bottle I purchased with my own cash and, at $25-$30.00 a bottle, it’s not particularly cheap. So, it was time to make me some delicious Punt e Mes cocktails…except there really aren’t all that many that specifically call for it in more than very small amounts. That’s exactly what I’ll be doing over the next couple of weeks, recreating a couple of cocktail classics and seeing what difference one little ingredient can make. For this week, we find ourselves with what is arguably Italy’s most famed contribution to cocktails, the Negroni. 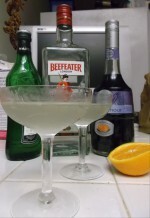 I’ve dealt with this drink back in 2011 and handled an interesting variation on the classic much more recently. Still, I think this version my be my favorite iteration yet. Combine the liquid ingredients in a cocktail shaker, shake molto vigorously, and strain into a chilled cocktail glass, adding your garnish. Prepare your mouth for a multilevel taste treat. I should add right away that it’s also permissible, and arguably more traditional, to strain a Negroni into a rocks glass over fresh ice — I just don’t like it as much that way, maybe because it tends to dilute the very sweet and very bitter delights of this particular mix. I tried this with both Bombay Dry Gin and Plymouth Gin and the results were equally good. I suspect even a value priced Gordon’s variation would have been just fine as well. Some Negroni recipes pump up the gin but, for me, that only lessened the pleasure. In any case, if you’re used to Negronis made with standard Martini or Noilly Pratt type vermouths, you’ll notice a definite difference. That chocolate undertaste I mentioned before remains strong, bolstered by the very sweet but very bitter Campari and in no way compromised by the herbaceous lightness of the gin. Indeed, I think it’s a big improvement over a standard Negroni..but next week’s variation on a Punt e Mes theme might be an even bigger upgrade over the standard version of a different (though definitely related) drink. Stay tuned.